Looking for some of the best blog sites like Tumblr? The post has some of the best Tumblr alternatives for 2019 worth trying. When you want to share your ideas and thoughts over the web, then nothing is better than blogging. Even from last few years, the blogging is in trend, from a single individual to big company owners every one has a blog. Tumblr is a microblogging and social networking owned by the Yahoo! It is a mix of both blogging and social networking on a single site with a vast online community. It let users post text, photos, as well as media items right from the dashboard. 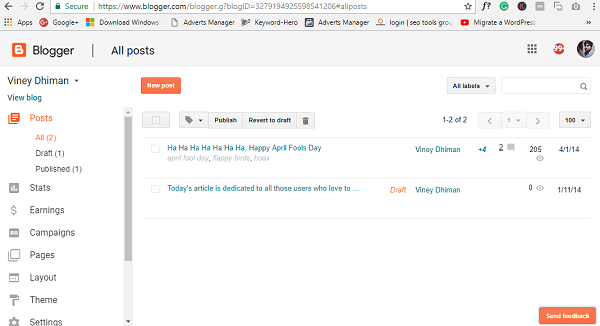 You can also follow blogs from other users and reshare the post quickly. As of writing this post, the Tumblr hosts more than 375.5 million blogs with over 555 million monthly visitors. These stats make Tumble, the best blogging site available on the web. There might be users looking for Tumblr alternative, and if you made this far, then I’m sure you’re one out of them. To help you out I decided to create a fresh list of best sites like Tumblr for this year. WordPress is one of the sites like Tumblr dedicated to users who want to take blogging to the next level. It is one of the open source, best and free content management system based on MySQL and PHP. It has two variant, the free CMS let users create a website for free, while freemium blogging platform (WordPress.com) to set up a blog in few seconds. Because of the highly customizable qualities, you can customize it the way you want thanks to free, customizable, themes and mobile-ready designs accompanied by enhancing plugins. It includes support for multiple users, SEO, social network integration, and the custom categories and tags. 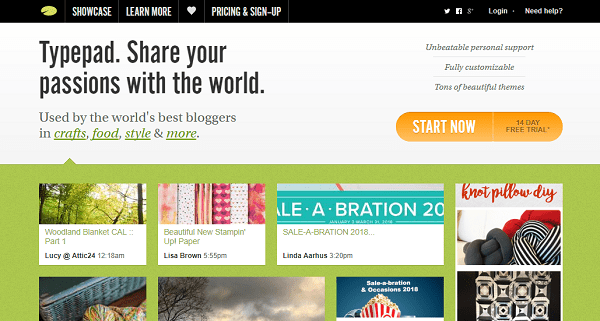 Blogger let you host up to 100 blogs per user account. It features simple and easy to use post editor with various styling and formatting features. It allows users track detailed blog stats like traffic source, monthly page views, and related stuff. It also comes with Google Adsense integration for monetizing content. 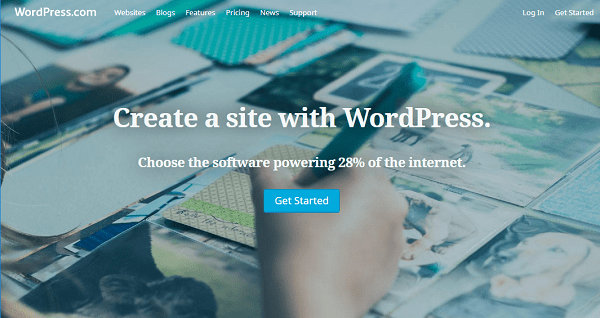 No doubt there are lots of themes and widgets available on the internet, but it less customization in comparison of Wordpress. It is another useful online publishing platform owned by a Medium Corporation. In the last few years, the Medium becomes very popular among users and become the popular blogging platform. It is different from other blogging platforms discussed above; the primary focus is content quality and how the story published by the writer connects with readers. 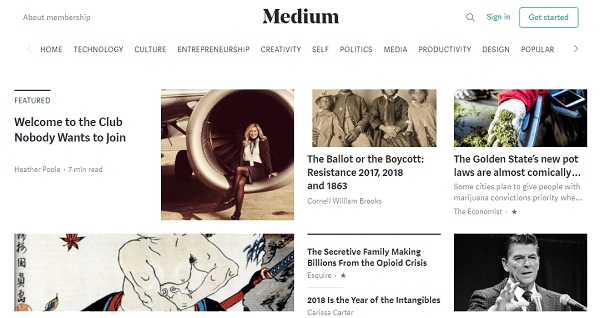 Medium is an excellent platform for those users who love to write good content which helps others. It features a minimalist text editor and has various features like keyboard shortcuts, support to set visibility, sharing links, tags, and other related things. You can also import your posts and tags from other blogging platforms, follow your favorite authors, set up custom domains and much more. 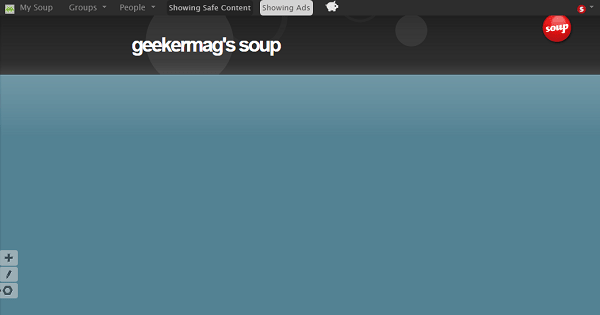 Soup is a mix of both social networking and microblogging platform under the same hood. It is the perfect alternative to Tumblr in both features and interface. On Soup, you can share text, quotes, videos, images, and related multimedia content just like you do on Tumblr. You can import all the posts from popular social networks like Reddit, Twitter, Soundcloud and more just by making a few clicks. Apart from this, you can also publish posts on the Facebook. Its a various group based on different topics like TV shows, animals and more. You can join those team and post there too. It is a simple microblogging platform so don’t expect much as you do from WordPress. Edublogs is the best sites like Tumblr if you want to set up an education blog. 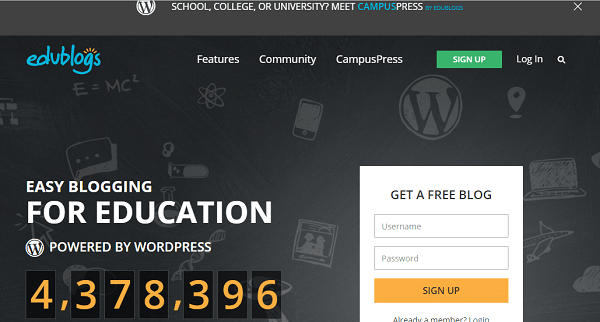 The CampusPress offers a highly customizable blogging platform just like a WordPress. It is the best place for creating discussions related to education, post document, and videos. You can also replace school newsletter with it. On this platform, you can only host an educational blog, and it provides you with a robust tool for learning. Apart from this, it won’t show inappropriate content or no advertising on the website. TypePad is the reliable and flexible blogging platform which is also considered as the best alternative to Tumblr. It is also very popular among users and is used by famous bloggers in food, craft, style, and more. Inside the TypePad service, there are lots of inbuilt tools that give you more control over the blog. It has analytics tool to keep track of the visitors. The good thing about this blogging platform is that they promote users blog on their vast network which increases the chance of getting more visitors. 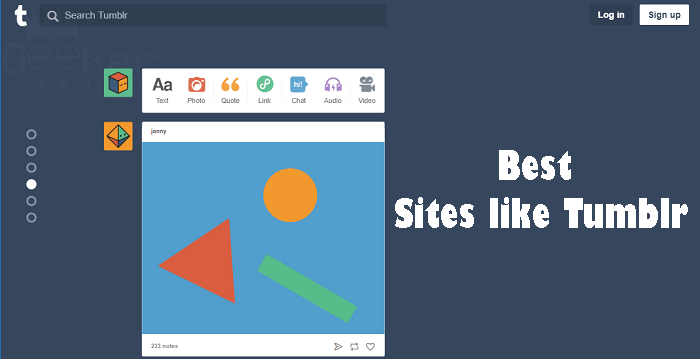 It has all the basic features which a perfect blogging platform like Tumblr. 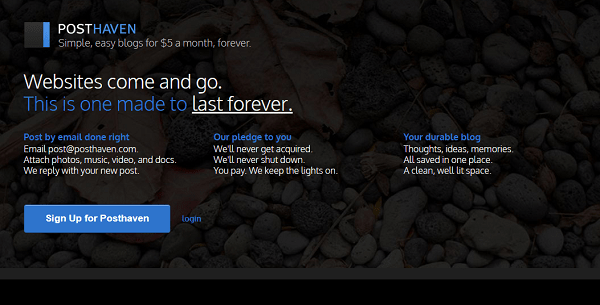 The TypePad is a paid service, but offer a trial of 14 days to test this amazing service. Want to set up a blog for a long time? You can get started with PostHaven at a fee of $5 per month for a single user account in which you can create ten blogs. The service has a tool the oath that their service will last forever what that means is that they will be acquired or sold, ever. The blog on this blogging platform will have the honor to enjoy features like email notification, password-protected blogs, post document with video and audio content, and more. PostHaven offers no trial account that means you have to start with the fee they have set up to start using this fantastic alternative to Tumblr. So these are some of the best sites like Tumblr for this new year. Why don’t you try these Tumblr alternatives and let me know your thoughts? In case, I missed to cover any good name; the comment section is all yours. Thank you for sharing the wonderful information about sites like tumblr.. I been looking for alternatives ..Thank you for sharing it.